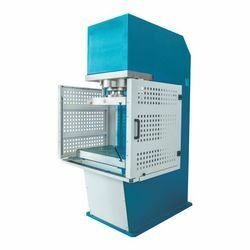 We are a leading Manufacturer of c frame type hydraulic press, pillar type hydraulic press, industrial hydraulic press, h frame type hydraulic press, hydraulic press and column type hydraulic press from Pune, India. 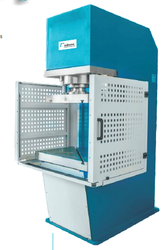 We are an acclaimed entity, engaged in offering a wide range of C Frame Type Hydraulic Press. Being a quality-oriented organization, we assure our clients that this press is best in quality. Our skilled professionals only utilize fine quality raw material, while manufacturing the entire range of press. Moreover, our offered press can be availed in a wide range of sizes, as per the requirements of our esteemed clients. Fabricated ultrasonically tested steel construction frame. 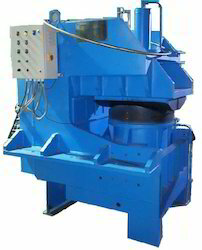 Efficient & low noise Hydraulic drive systems. 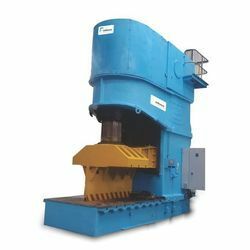 We have marked a distinct and dynamic position in the market by providing a high-quality array of Pillar Type Hydraulic Press. As the name implies, the offered press is mainly used for metal pressing. Our offered press is available in a variety of sizes, dimensions and other such specifications to choose from. The offered press is precisely designed at our highly advanced manufacturing unit following industry defined guidelines. The offered press can also be availed from us at the industry leading prices. Our organization has successfully expanded its business in market owing to the offered elevated quality array of Industrial Hydraulic Press that is extensively used in metal industries. 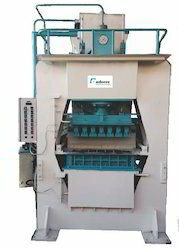 The offered press is manufactured utilizing superior quality raw material and latest technology. Moreover, a team of our quality controllers conducts a series of quality tests on the entire range of press to seek out any possible defect. In tune with industry standard, we provide this press with various customized options and industry leading prices. By keeping track with the market development, we are offering optimum quality H Frame Type Hydraulic Press. Our provided press is manufactured by a team of our adept professionals utilizing quality approved raw material and advanced technology. Our offered press is widely appreciated by our prestigious clients for its precise design and durability. The offered press can also be availed in various sizes, designs and other related specifications at market leading rates. 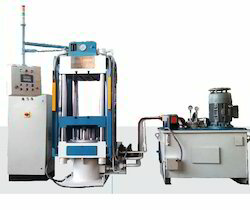 We are engaged in offering Hydraulic Press, designed & developed in accordance with the industry laid parameters. Offered machines are introduced after performing rigorous quality test measures in order to assure our client's efficient performance. Prices have been kept minimal in order to meet the budgetary requirements of our customers.